I was always the worst at art in middle school. In my art class, I remember actively suppressing the urge to jam my fingers into my watercolor set and crumble the paint pots out of sheer frustration. I couldn’t get the colors where I wanted them, I couldn’t get the shades to blend, and I couldn’t transfer what I saw in my head onto paper. But on the exhibit floor at the Frontier Tech Forum on December 14th, Chris Campbell handed me an HTC Vive headset, placed two controllers in my hands, and taught me how to sculpt in virtual reality in minutes. Campbell is the CTO at Leopoly, a 3D software company based in Budapest. Earlier this month, the company debuted ShapeLab. Available on Steam for HTC Vive, the app demonstrates an unexpected integration of 3D printing and virtual reality — an integration that could usher in an impressive range of applications. And, most importantly, ShapeLab simplifies the learning curve required of many new and emerging technologies. It took a bit of patient coaching on Campbell’s part, but within a few minutes, I was manipulating a virtual dinosaur so it looked exactly how I wanted it to look — no frustrations required. 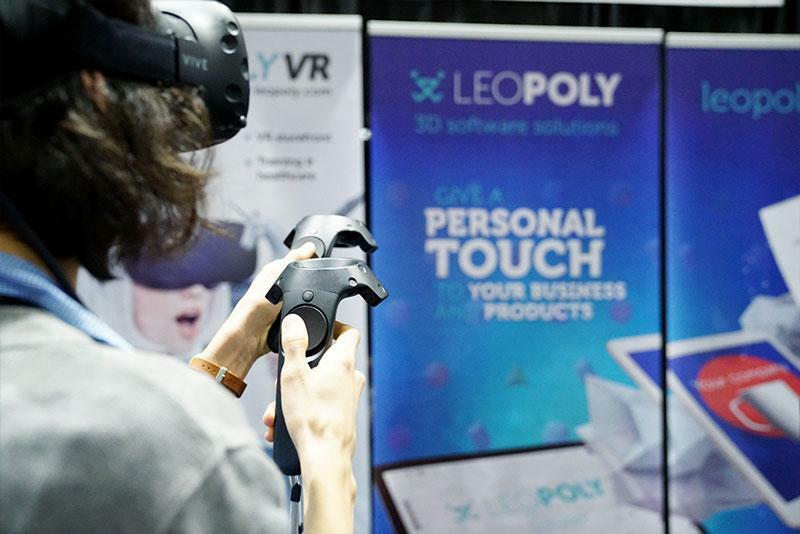 Here’s why Leopoly’s ShapeLab app matters — and why 3D sculpting could the next best thing to hit your VR headset. Leopoly specializes in custom product design, and virtual reality is a new — and exciting — world for the company. 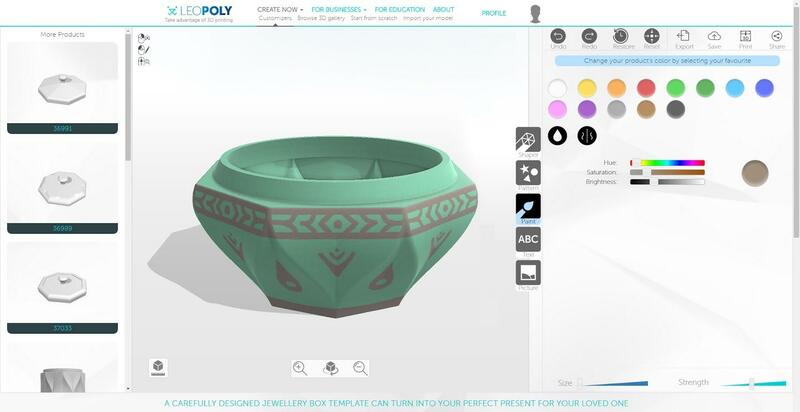 The new VR store allows users to customize products and either print them or have them 3D manufactured. 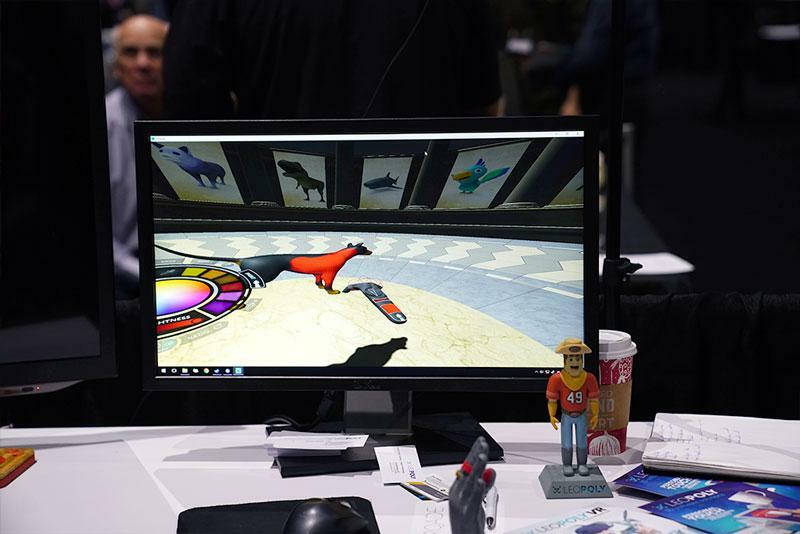 “Our core development is custom software development for 3D applications, so in the VR space, we’re allowing users to 3D model and export for 3D printing with no learning curve at all,” Campbell said. I experienced this first-hand while I interacted with my dinosaur in ShapeLab’s virtual space. Turning the figure and painting it involved innate, familiar movements, and the controllers provided haptic feedback whenever I touched the edge of the dinosaur’s back. The experience that quickly and completely immersed me — and gave me mental whiplash when I took off my headset, reemerging on the exhibit floor. Once an object has been made within ShapeLab, it can be 3D printed — from anywhere. “Everything you make can be made. It’s a functional VR application, which is nonexistent,” Campbell said. “The way that we build our software is very modular, so if you want to do a custom product design, we can make some changes to the code and publish a new build to let you do that. If you want to do something more complex, like have some visualization or simulation software, we can do this also"
The potential applications are still developing, but the company has broadened its appeal by providing support on the HTC Vive, Oculus, and — soon — mobile VR experiences like Google Cardboard and Gear VR. While I spoke with Campbell, I was caught up in his clear sense of excitement. It was hard not to feel giddy while moving my controllers in ShapeLab, watching my paint pallet seamlessly blend onto my dinosaur’s body without any of the amateur discoloration I faced in middle school art class. Instead of feeling frustrated, I was able to focus on the work itself — and for budding artists and engineers in schools today, that freedom of focus could make all the difference. ShapeLab simplifies the learning curve required of many new and emerging technologies.